Spring semester comes to a close and ushers in the busy, but much quieter days of summer. I often see summer as a secondary New Year. I have a chance to reset goals and challenge myself to make good use of my summer days. I'm teaching online this summer, so I have plenty to do, but at least I can do it from home. This year, I'm really trying to buckle down on exercise, healthy eating, and self-improvement. I don't always have time for language study or writing or music during the school year - ok, I don't make time for those things. But summer springs hope eternal and I'm trying to be disciplined about making time for things I care about but for which there is no tangible payout. Hopefully, that will include charity work this summer. The political turmoil (ugh - it just keeps getting worse!) has, if nothing else, pushed me to question how I can affect change in my community. That. in turn, is causing me to do some reevaluating of my career path, but that's another story for a different day. For now, I'm hoping to translate a desire to change the world into practical work. And I don't want my volunteerism or activism to end this summer. Kevin finishes his graduate studies at the start of August and we've discussed how we can get involved in community service together after that point. As we enter the next decade of our lives, we are becoming increasingly aware of the gift of time and how we use it. We want to give back not just financially, but with our time and talents as well. If you have any awesome volunteering or community service ideas/experiences, I'd love to hear them! We're just starting to dip our toes in the water over here and it's exciting and scary all at once! All the free time means I have been watching a bit more TV, too. Not so self-improving, I know. But it's relaxing. Movie Monday posts are becoming a more regular thing again. 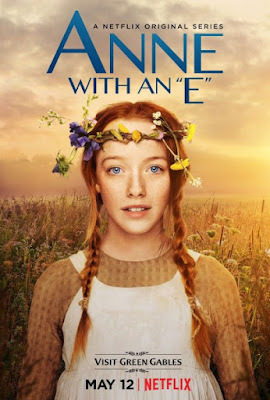 And, if you missed it, you'll definitely want to check out my thoughts on Netflix's new series, Anne with an E.
When school ended this spring, I basically flopped myself onto the couch and into the new hammock swing we have in the backyard and read for days. I was exhausted at the end of the term and needed some serious self-care. Plus, we spent a delightful Memorial Day weekend at my parents' new house in Wilmington (read: the beach). 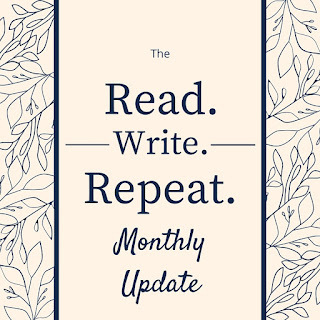 So, I have blazed through books this month. 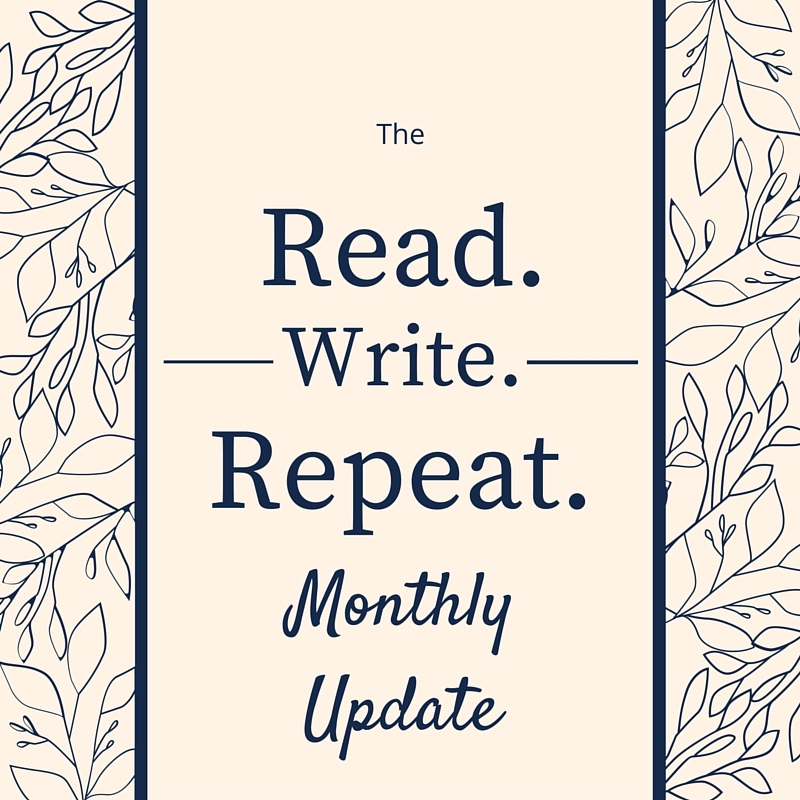 This month, I tried to focus on one or two books at a time rather than reading five or six and once. I think doing that gave me a greater sense of accomplishment. I'm not always reading exactly the genre I feel like, but I'm getting through books faster. Summary: It's L. M. Montgomery's classic story, but with some modern additions and attitudes. What I Thought: I know there are so many feelings out there on the Internet about this series. As when I talked about Gilmore Girls: A Year in the Life, I feel a bit superfluous adding my voice to the cacophony. However, I want to get a conversation going. I know all you Anne-lovers out there have feelings about this series and I want to talk about them! So, consider this a mashup between Movie Monday and Let's Talk About.... Just know, there are spoilers ahead. Proceed at your own risk. Let's start at the beginning. It is, after all, a very good place to start... wait...wrong movie. How I Found It: I've read other Ishiguro works and I really liked the film adaptation of this novel. Summary: Kathy recounts her years of friendship with Tommy and Ruth. From their days confined to boarding school to their years as carers and donors, their story is haunted by questions and rumors about their life's purpose. What I Thought: I saw the film adaptation of this ages ago. I fell completely in love with it, in part because it has one of my favorite film scores ever. Looking back now, I'm not surprised I enjoyed the movie. Carey Mulligan, Andrew Gafield, Kiera Knightly... The cast was stacked before any of those three really became major stars. I haven't seen the movie in years, but I've been enjoying Ishiguro's work lately and really coming to respect him as an author. It seemed like a good time to visit the source. Summary: Nafisi reflects on her time teaching Western Literature in post-revolution Iran. She talks about her experiences and how the books impacted her and her students in the midst of their changing world. What I Thought Before: You should definitely go back and read my first post about this book. I think I covered my thoughts pretty well. What I Think Now: I recommended this book for book club and, thankfully, it was a hit. We had a wonderful discussion about the purpose of literature, gender roles, and the arch of revolution. Good stuff. It's such a treat to share books like this with an intellectual group of people. What I Thought: I'll be honest... Sitting down to write this review, I remember very little of this book. I only finished it nine days ago, but I'm struggling to recall much of what happened. I think such an admission is actually quite representative of my feelings of this novel in general. I'm sure I'll grouse about this more when I do my final 100 Best Novels overview post, but I am just so tired of war stories. I recognize what hugely impactful events the world wars were. It makes sense that every book written around that era at least references them. Still, it's hard for me to connect with stories of soldiers on the battlefield. I have absolutely no life experience which can help me understand such circumstances. I know, I know. That makes it even more important for me to be reading these stories. I get that, too. I just...I'm tired of them. There are so many unique stories to tell in the world and I'm annoyed by the high number of stories from the trenches that made it onto this prestigious list. 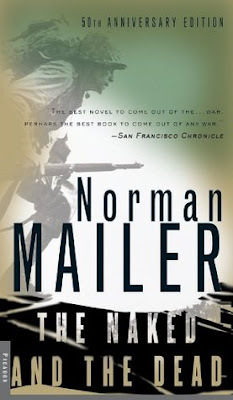 I recognize Mailer's skill and why this book became such a sensation. It just didn't work for me personally. It did, however, make me wonder if there will ever be such an event that every single story of this era will center around it. Is there anything left that can unite our stories in such a huge way? Would it take another world war? 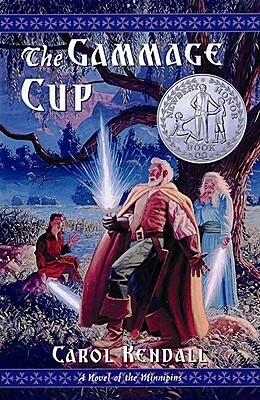 How I Found It: I read it as a child and have been searching for it for literally years. Summary: The Minnipins have lived in their peaceful valley for centuries without disturbance. When a few social outsiders sense a threat, the natural order of things is threatened. 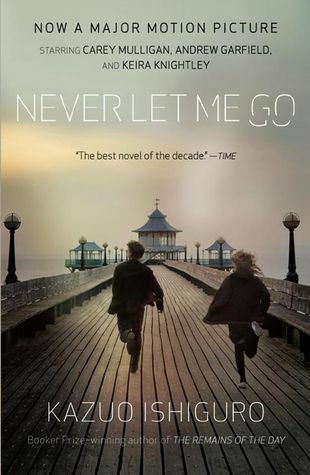 What I Thought: This is such a great book. No surprise that it's a Newbery Honor book. Though it was written back in 1959, it has themes that feel so relevant today. Social acceptance, heroism, speaking truth to power...the messages of the book are still wise in 2017. And, it's still totally fun to read as an adult. It's a quick read. I read it in two days. It was the perfect thing to get my mind off of the AHCA passing the House. Escapist and inspirational all at once. How I Found It: I've been wanting to read some of Fisher's work. 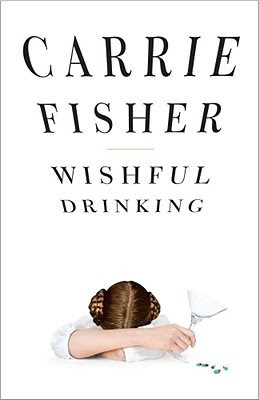 Summary: Fisher recounts the highs and lows of her life in the spotlight, including her struggles with alcohol and drugs, her celebrity parents, and that time a friend died in her bed. What I Thought: I have been wanting to read Fisher's books since her death in December. When she died, I had heard a bit about her most recent memoir, but I had no idea she had been such a prolific writer. I am a Star Wars fan, but really did not know much about Fisher beyond her tenure as Princess Leia. So, when I was looking for a lighter read late one night and this was available via my library's digital collection, I jumped. I am so glad I did. I read the whole thing in less than two days, sneaking bits here and there when I could, devouring chapters at a time when I should have been sleeping. It's not a long book, so two days is not quite the accomplishment it sounds. Still, Fisher's writing style made it easy to devour and hard to put down. How I Found It: I read the first two books in the series. 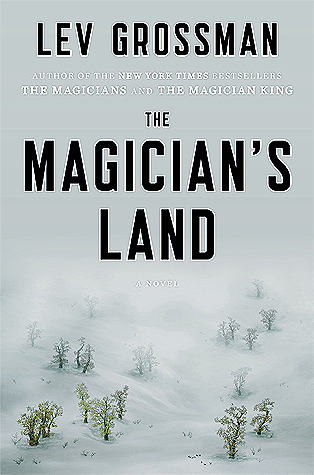 Summary: Grossman's series about young magicians and their journeys to and from other worlds comes to its conclusion. What I Thought: This series is so fascinating to me. The three books contain the same characters and are very directly intertwined. Yet, each book has a very different tone. The first centers largely around the Brakebills crew during their time at Brakebills, the magical college; it's dark and heavy with party atmosphere and the consequences thereof. The second book reads like a classic fantasy adventure, practically ripped from the mind of C. S. Lewis and the Narnia series; it's a seeker's journey. This third book, set practically a decade after we've first met our characters, feels different yet again. Whether purposeful or not, Grossman has really captured the journey of young adulthood. In the beginning, Quentin is emotional and often irrational. He and his friends are typical college students, very rarely considering the consequences of their actions or relationships. They go through some terrible things until, at least, they seem settled on the thrones of Fillory. But, in the second book, it turns out that living such a scripted life is not all its cracked up to be for Quentin. He wants adventure. He misses the thrills of life before, perhaps because he's blocked out the traumas that came with them. So, he has an adventure and, in the end, finds himself alone and starting from square one. How I Found It: A student loaned it to me. 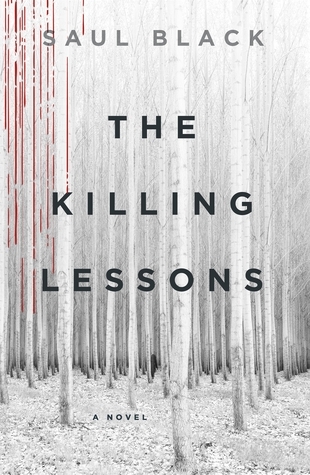 Summary: A serial killer is on the loose, leaving tortured and disfigured corpses in his wake. Valerie Hart is on the case, but can barely keep her personal life together. Will she catch the killer before her depression and drinking catches her? What I Thought: I mentioned in one of my classes this semester how much I read. My students were more than a bit taken aback. As always, when I reveal my love for reading, people have recommendations. 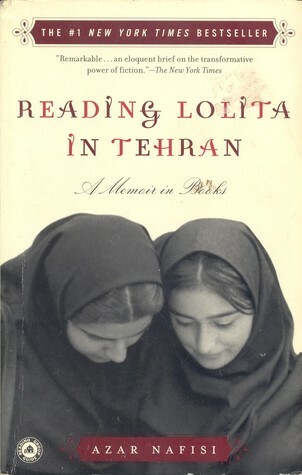 This time, one sweet student even brought me a copy of this book, which she had enjoyed recently. I think I've talked about this here before, but detective novels are not usually my thing. J. K. Rowling/Robert Galbraith's books are the only ones I have ever really enjoyed much. I mostly read detective novels via audio book while in the car with Kevin. They are one of the only genres that will hold his attention on long road trips. But, under the circumstances, I felt I should give this one a chance. 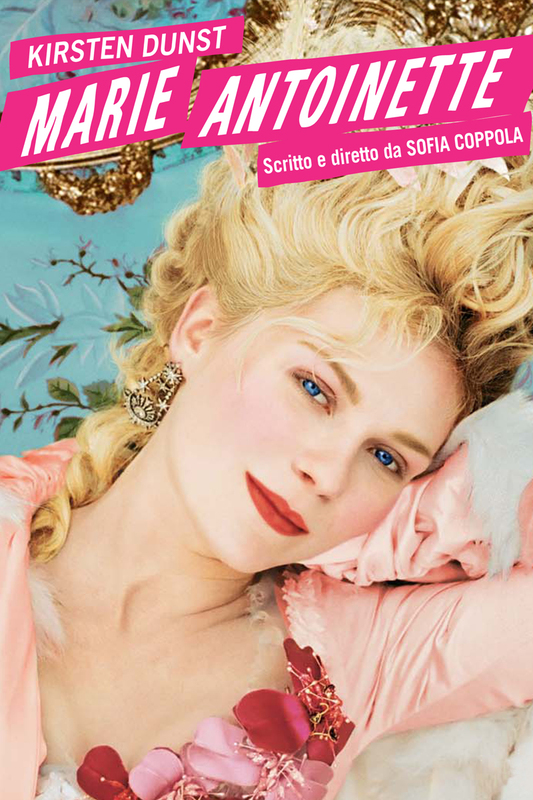 Summary: Supposedly based on Antonia Fraser's extensive biography of Marie Antoinette, this movie views the story through a lush lens. What I Thought: I had seen this movie before, somewhere back around when it came out. I remembered liking it and that it fell in line with the assumptions I held then about the young queen: she was flirtatious and flighty. Reading Antonia Fraser's biography of Marie Antoinette, however, challenged a lot of those ideas. Since the movie is supposed to be base on the biography, I decided to give it a re-watch. First off, I had completely forgotten what an incredible cast this movie has. I'm not usually a big Kirsten Dunst fan, but she really does a lovely job in this movie. She handles the part well, although I do think some of her acting choices contribute to the image of Marie Antoinette as naive and flighty. Mostly, though, I think she's doing justice to the script given her. I was also especially excited to see Rose Byrne and Molly Shannon, both of whom I have seen in other things and forgotten their presence here. How I Found It: I've seen lots of people talking about it. 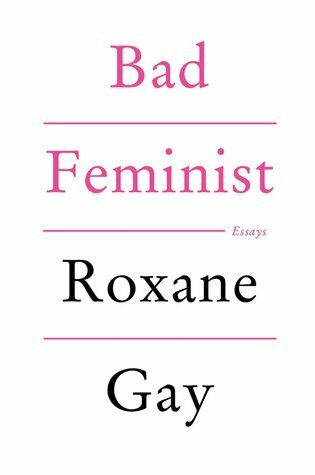 Summary: A series of essays exploring feminism in modern culture. What I Thought: When this book came out a few years back, it got a lot of press and traction in the book world. I've had it on my list to read for a while. It felt like a good time to finally pick it up, given my recent effort to read more by people with different perspectives and experiences than me. Let me say right off the bat, Gay is feisty. Her tone is self-deprecating...and others-deprecating. She has strong opinions and is not afraid to share them. She also has plenty of skill with words and the messages they convey. The book is a series of essays, most fairly short. Many of them revolve around popular culture and the depiction of women therein. 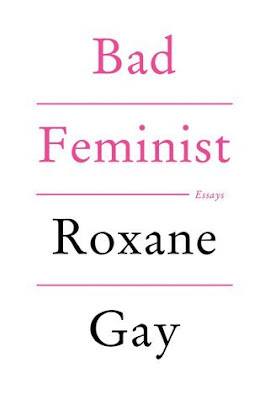 The essays with pop culture references with which I am familiar were, unsurprisingly, more enjoyable to me. Any reference to The Hunger Games and I'm in. Hey! There's a giveaway at the bottom of this post! Make sure you read all the way through and enter for your chance to win! 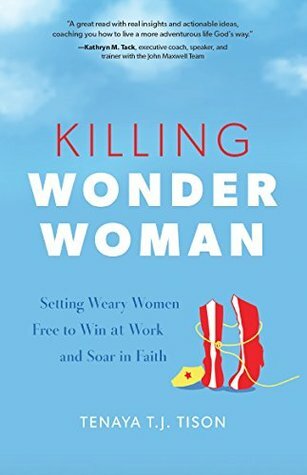 Summary: Tison encourages readers to conquer "Wonder Woman" also known as the unattainable ideal to which so many women find themselves striving. What I Thought: Book tours are great, but I especially love when I can tell the books came straight from the author. When I got this one, it seemed to have come from Tison's home address and she had written a personalized signature on the title page for me. Authors, my reviews are as impartial as I can make them, but that's a good way to leave a positive first impression of your book. Tison clearly is passionate about her subject matter. She has poured her heart out onto the page. Her enthusiasm for empowering women of faith radiates on every page. She has had a transformative experience and wants desperately to share it. That much is clear. As always, April has lived up to my expectations. It's been a really crazy month for us. We are always so busy during April. It's Kevin's busiest month of the year for work, plus he's taking two of his final MBA classes, plus he's been traveling for work and family reasons. The end of the semester always finds me drained and desperate for respite. I have had my own family events this month, too (my parents just moved to North Carolina!). Plus, we had Kevin's birthday. To say we're exhausted is an understatement. It's been a good month, but a very busy one. I, for one, am longing for the languid days of summer which lie ahead. Ok, they probably won't be particularly languid knowing us, but they won't be April and for that, I'm thankful. April also marks the start of summer weather here in North Carolina. We had some truly beautiful days in the 70s and then spring waved goodbye and now we're having upper 80s and the beginnings of summer humidity. We planted our garden and everything is vividly green around here. We love summertime, the heat and all, so we're not complaining. But, I did reluctantly turn on the air for the first time because I just can't sleep in an 80+ degree house.